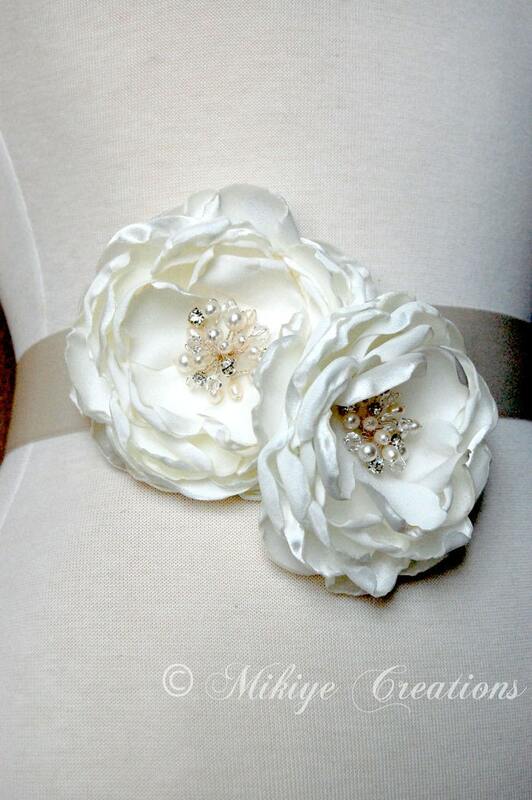 These Wedding sash flowers are a versatile accessory. Completely handmade, each silky satin ivory or off-white flower petal is carefully hand cut and shaped. Beautiful hand wired freshwater pearl, Swarovski pearl, Swarovski crystal and rhinestone centers. Flowers are designed separate and have either a pin or an alligator clip with teeth attached to the back. 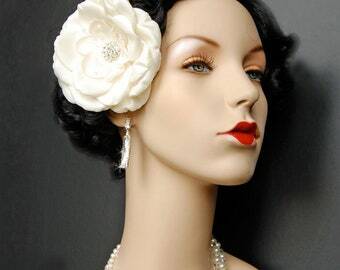 As seen in the photos these flowers are wonderful worn in many ways. Easily pinned to a satin sash for a romantic touch around the waist as well as pinned to any clothing to make a gorgeous accent around the neckline of any outfit. 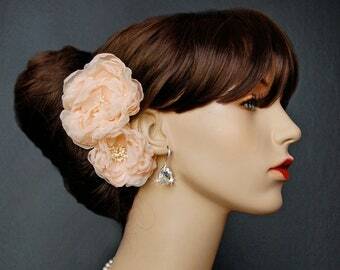 Wear one or both in the hair for a glamorous vintage-inspired look! 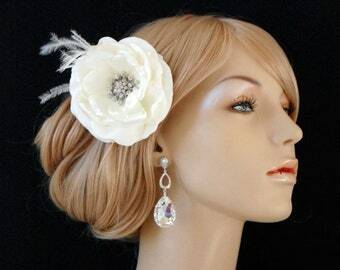 This is a wonderful floral set that will add that extra touch of style and charm! Smaller flower approximately 3.5 inches wide. Larger flower approximately 4.5 inches wide. Items you send with Registered Mail are placed under tight security from the point of mailing to the point of delivery and insured up to $25,000 against loss or damage. And you can verify the date and time of delivery and the delivery attempts online. 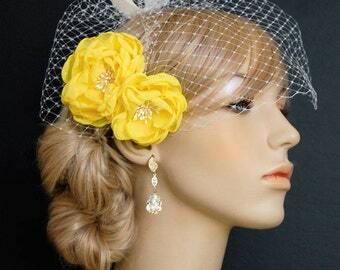 ♥Add a 9" Beautiful Blusher Birdcage veil with this set for only $25.00 Extra OR a 12" veil for $30 extra. Convo me if you would like to add a veil to this transaction and I can adjust the listing to include the veil. Otherwise, Veils for sale separately for $35.00 and $45.00 in my shop.